The Global Network for Road Safety Legislators is warning that road traffic road deaths are rising again in many countries, and has called on Governments worldwide to urgently step their actions to prevent road crash fatalities and serious injuries. 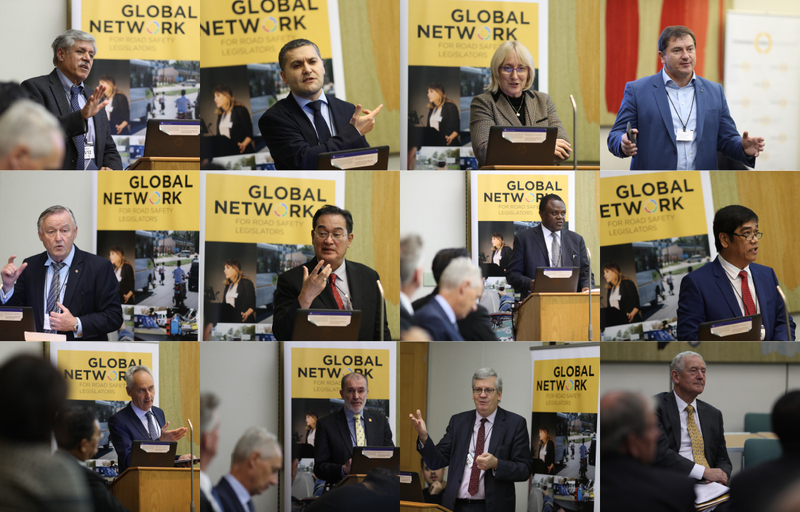 At their Annual Leadership Council in the UK House of Commons on December 13th Members of Parliament from the Global Network adopted a resolution urging UN member States to redouble their efforts in the current Decade of Action for Road Safety. The MPs also urge Governments to support the establishment of a UN Road Safety Fund to encourage greater investment in road injury prevention programmes, implement agreed road safety performance targets that will contribute to the Sustainable Development Goals, and recognize the vital contribution that parliamentarians can make to the adoption of effective road safety policies and laws. During the Leadership Council visit to London, the MPs participated in a major conference on Road Safety and the Sustainable Developments Goals hosted at the European Bank for Reconstruction & Development, attended the Awards Ceremony of the 2017 HRH Prince Michael International Road Safety Awards, and met with the UK Road Safety Minister, Jesse Norman MP and Lord Robertson of Port Ellen, Chairman of the FIA Foundation. The Leadership Council also discussed recent developments on road safety with senior representatives of the World Health Organisation, the World Bank, the International Transport Forum of the OECD and with a range of leading road safety experts convened by the Towards Zero Foundation. The Leadership Council is chaired by the UK’s Barry Sheerman MP and consists of a cross party group of senior Members of Parliament from Africa, Asia, Europe, Latin America, the Middle East, the United States and the United Kingdom. In May the Global Network for Road Safety Legislators released a Manifesto #4RoadSafety which warns that on present trends it is unlikely that the UN’s aim to halve road deaths by 2020 will be reached, describing such an outcome as “a tragic missed opportunity to apply known and effective policies to make roads safe”.